Everyone loves a great rack of ribs and with the Weber Original Rib Rack you can easily get the ribs on and off the grill using the built in handles. Expand your grill's capacity by using this heavy-duty plated steel rib rack, which keeps the ribs upright. Design allows you to easily baste and sauce your ribs right in the rack. Your pellet grill is big, but sometimes you're fighting for more space. We get it. That's why we're bringing you almost quadruple the cooking surface area with our SmokePro Jerky Racks. With three removable racks at your disposal, you'll be able to tackle any smoking job, from jerky to fish, wings to ribs. All without breaking a sweat. Increase flavor and reduce cooking time by using Napoleon's 48 Blade Meat Tenderizer. Make notoriously tough cuts of meat into succulent feasts with minimal time and effort. Marinades penetrate deeper into meat, and irregular cuts of meat cook more evenly. The sturdy, ergonomic handle makes it easy to efficiently push the sharp blades into meat. Wash on the top rack of the dishwasher for easy clean up. Storage is completely safe with the locking blade cover, so there's no worry of unintentionally tenderizing yourself. Original BBQ Rib Rack Everyone loves a great rack of ribs and with the Weber Original Rib Rack you can easily get the ribs on and off the grill using the built in handles. 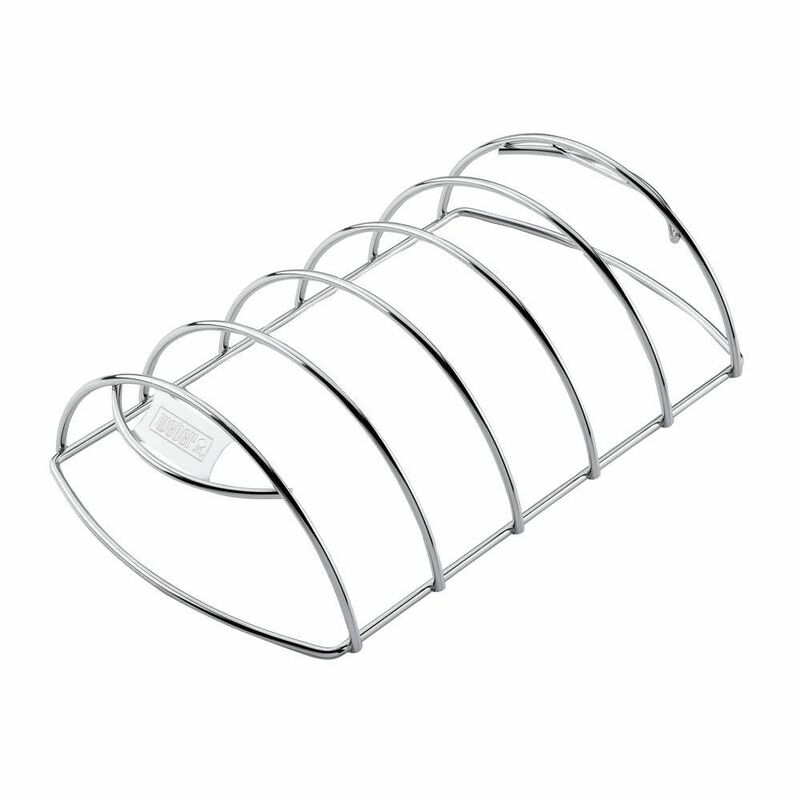 Expand your grill's capacity by using this heavy-duty plated steel rib rack, which keeps the ribs upright. Original BBQ Rib Rack is rated 4.4 out of 5 by 113. Rated 5 out of 5 by Rick from Holds ribs just like you would expect. ... Holds ribs just like you would expect. Rated 5 out of 5 by jobrien56 from Held 5 racks of ribs. Had I bought the jerky racks for my smoker I would have spent $75.00. This ... Held 5 racks of ribs. Had I bought the jerky racks for my smoker I would have spent $75.00. This worked perfectly. Rated 1 out of 5 by HomeDepotCustomer from When cut in half, a rack of ribs do not... When cut in half, a rack of ribs do not fit properly on the rack. The rack is too wide. Rated 4 out of 5 by bbishopgso from Rack basically works. Wish it was a little taller to... Rack basically works. Wish it was a little taller to keep ribs more vertical but overall it worked fine. Rated 5 out of 5 by HomeDepotCustomer from Awsome!!!!!... Awsome!!!!! Rated 5 out of 5 by T-Boug from Smokin Ribs!! Used this rib rack to smoke two racks of baby backs. It worked great and has enough room for five racks. Makes me wanna buy more racks next time just so I can see it filled up. Great Buy!